Celebrate like a VIP with the new Essie Shimmer Brights 12-Piece Collection including the highly anticipated 1000th shade, Aim to Misbehave. This star studded collection should have you popping the bubbly with a new pearl technology capturing colour saturation you have to see to believe. From a bejeweled emerald ready to make waves to the shimmering citron of the bespoke limited edition hue, it truly is a collection to be most-talked-about. 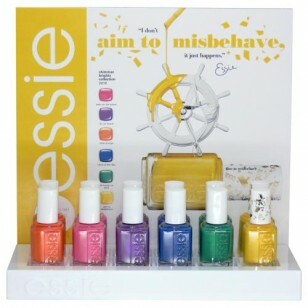 ​Note: Essie nail polish doesn’t contain DBP, Toluene, or Formaldehyde.